During a delay after sentencing, while she was finishing her college degree, Sheila began writing articles for the Washington Free Press, an “underground” newspaper. 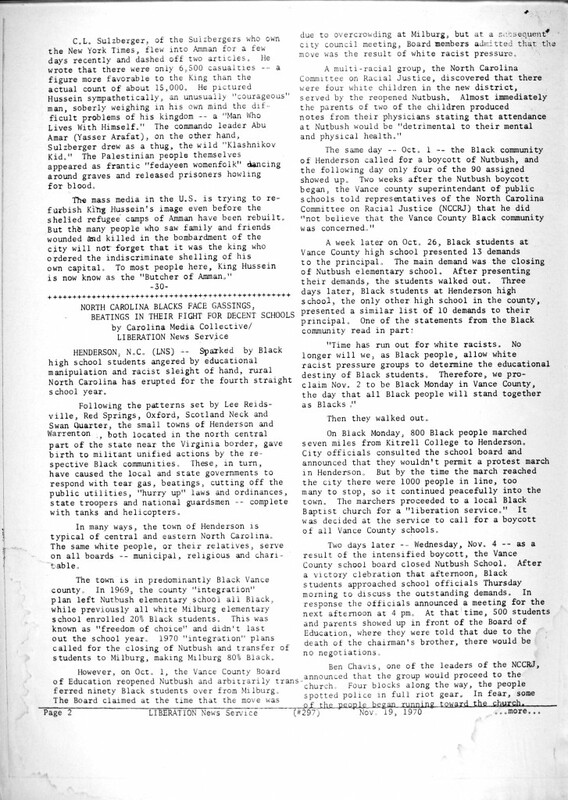 The Washington Free Press was a biweekly radical underground newspaper published in Washington, DC, beginning in 1966, when it was founded by representatives of the five colleges in Washington as a community paper for local Movement people. It was an early member of the Underground Press Syndicate. 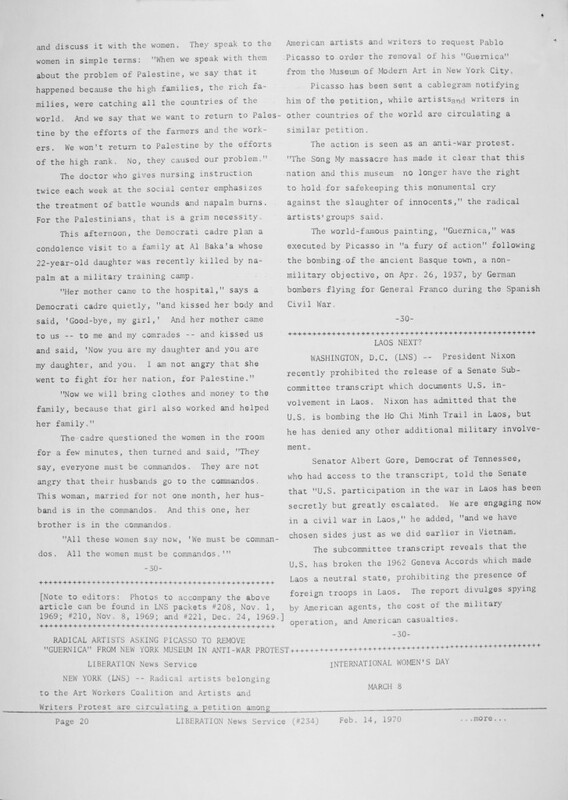 Starting in Dec. 1967 they shared a three-story house in northwest Washington with the Liberation News Service, the Washington Draft Resistance Union, and a local chapter of the anti-draft group Resistance. Around this time, she also became involved in the Students for a Democratic Society. This entry was posted in Left Press, Publications on January 1, 1967 by Matthew. This entry was posted in Left Press, Publications on October 5, 1968 by Matthew. 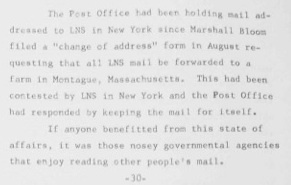 NEW YORK, NEW YORK (LNS) — “SMASH PANTHER BOMB PLOT! * “COPS: CUBA HELPS PANTHERS PROWL,” and “SEEK PANTHER LINK TO STOLEN YOUTH FUNDS” displaced the headlines of the previous week describing a city in disintegration— hospitals being closed because adequate funds were denied by the city and state governments, welfare appropriations cut so that clients would be hard-put to survive, the City College president resigning because the legislators had cut the budget below minimum, high school students in a state of rebellion. This entry was posted in Left Press, Publications on April 10, 1969 by Matthew. This entry was posted in Middle East, Publications on December 24, 1969 by Matthew. 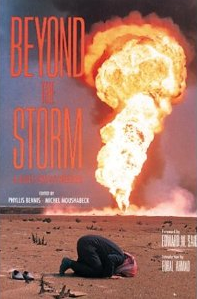 From 1978 to 1989, Sheila worked with George on Claremont Research and Publications. 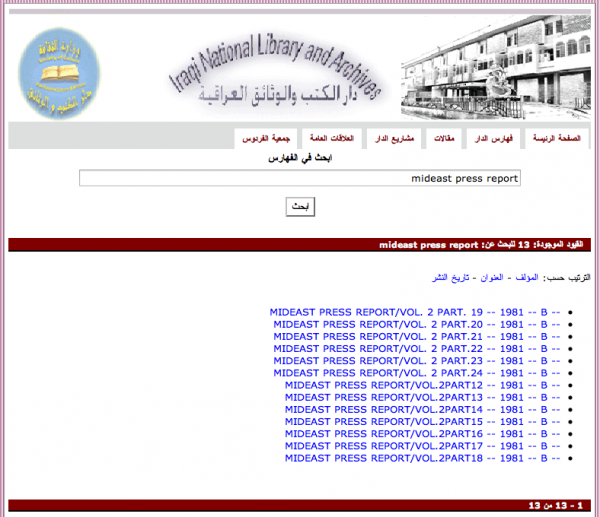 … articles from over 80 publications, including the major US, European, Israeli and Arab English-language press … are contained in Mideast Press Report, a weekly clipping service of Claremont Research and Publications in New York. 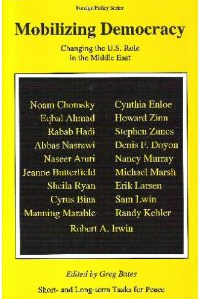 Claremont Research also published a monthly news magazine called Update: Mideast, and several books, including one by Noam Chomsky. Sheila wrote the news analysis section of Update: Mideast every month, as well as a weekly news analysis for subscribers of the Mideast Press Report. 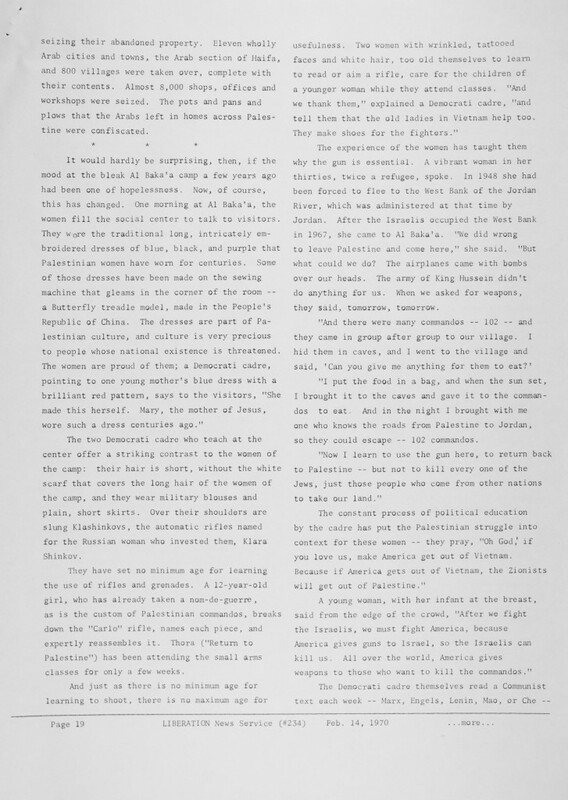 Every week she would read through hundreds of newspaper and magazine articles clippings about the region, come up with a mental synthesis of what it all meant, and sit down at her Selectric typewriter and bang out several pages that coherently summarized everything that had been reported that week, just in time for her report to be photocopied and express-shipped to various organizations and international clients who relied on this service to stay abreast of how their region was being described in global news reports. 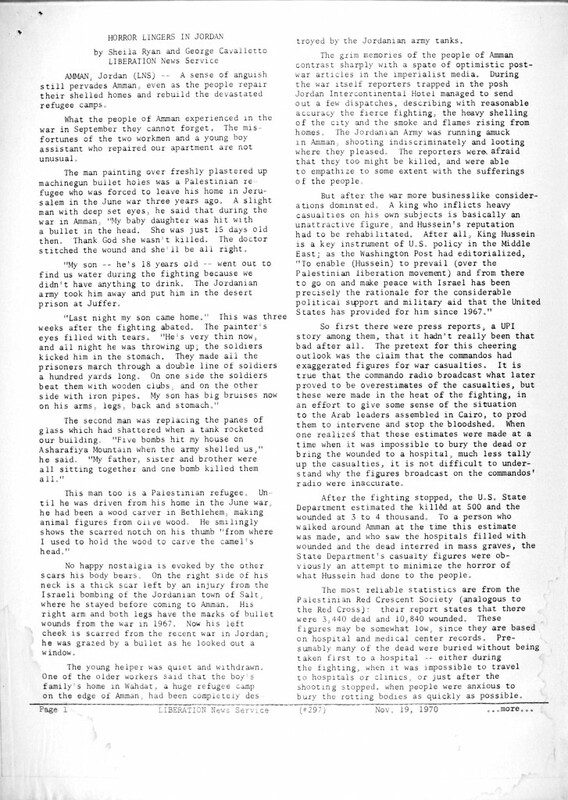 This entry was posted in Middle East, Publications on May 1, 1978 by Matthew. 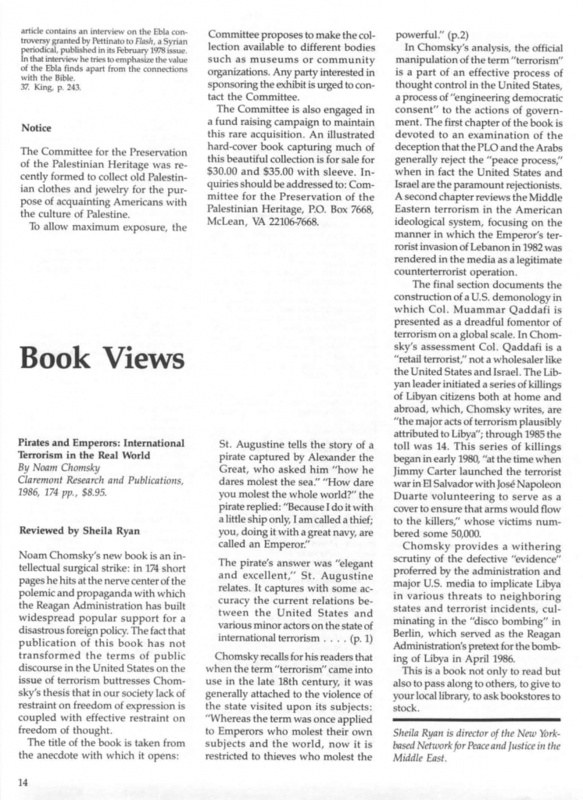 “The Colonial Exploitation of Occupied Palestine : a study of the transformation of the economies of the West Bank and Gaza”, by Sheila Ryan, in Zionism, Imperialism, and Racism, ed. A.W. Kayyali, Croom Helm (London), 1979. 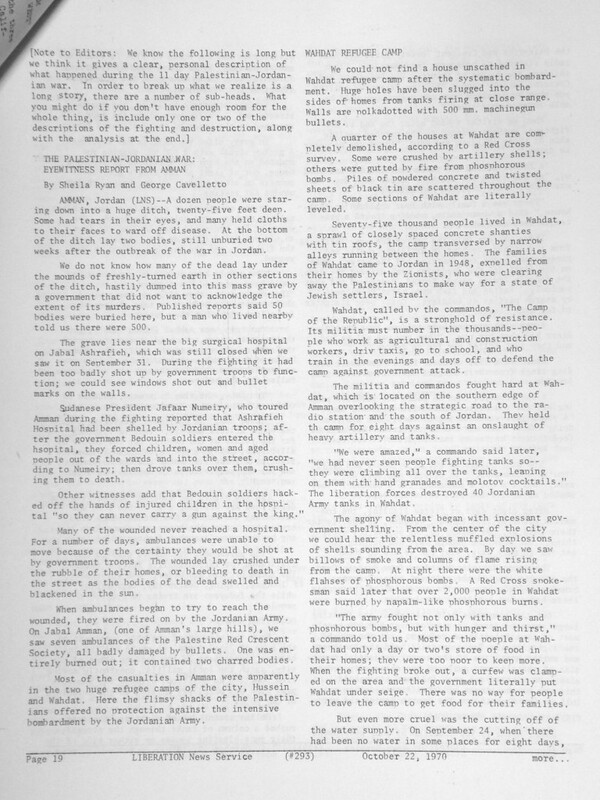 This entry was posted in Middle East, Publications on May 1, 1979 by Matthew. This entry was posted in Middle East, Publications on April 1, 1983 by Matthew. 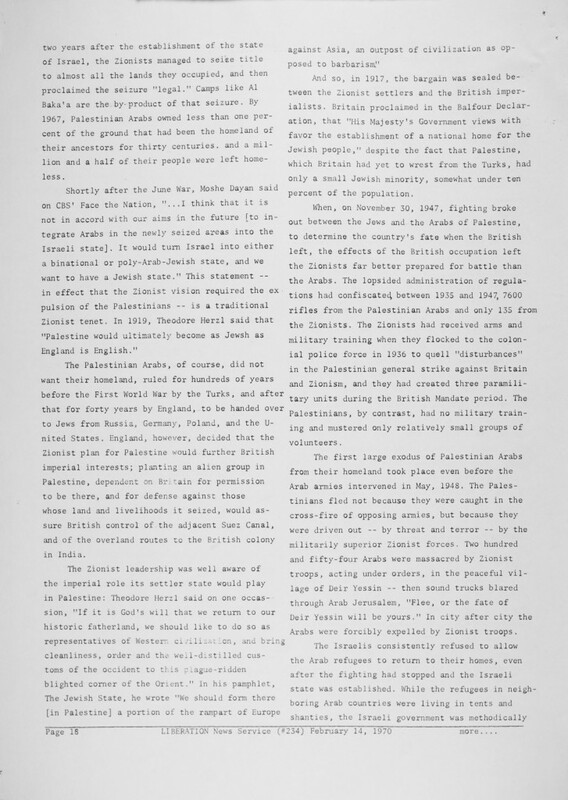 In 1983, Sheila wrote an report that was published as a book, “Palestine Is, But Not In Jordan”. This entry was posted in Middle East, Publications on July 1, 1983 by Matthew. “Israel’s Invasion of Lebanon: Background to the Crisis“, by Sheila Ryan, Journal of Palestine Studies, Vol. 11, no. 4 – Vol. 12, no. 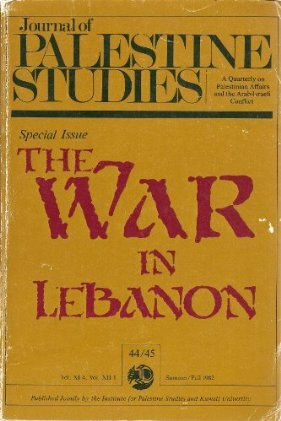 1, Special Issue: The War in Lebanon (Summer – Autumn, 1982), pp. 23-37. “A Palestinian State for Israel’s Sake“, by Sheila Ryan, Journal of Palestine Studies, Vol 14, No. 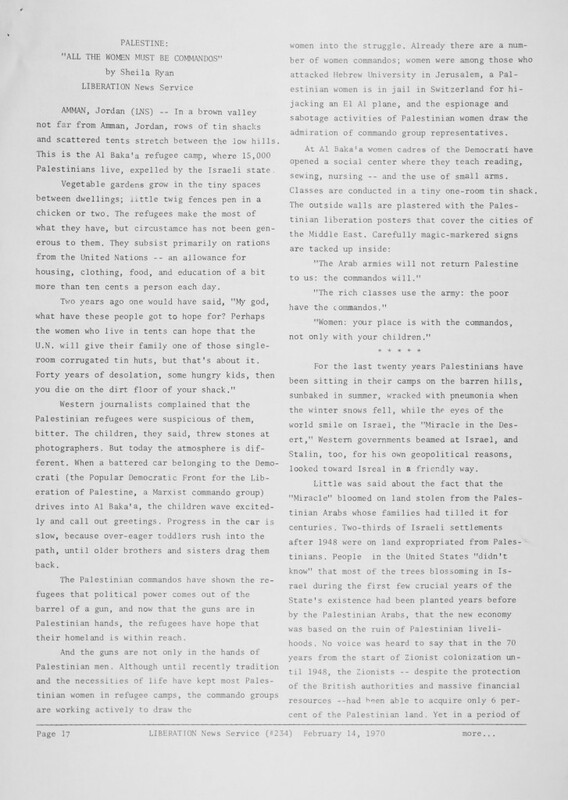 2, Special Issue: The Palestinians in Israel and the Occupied Territories (Winter, 1985), pp. 154-156. This entry was posted in Middle East, Publications on November 15, 1985 by Matthew. Were some diabolical social engineer to design an environment to provide the perfect growth conditions for terrorism, the result would be something very like Sabra and Shatila. 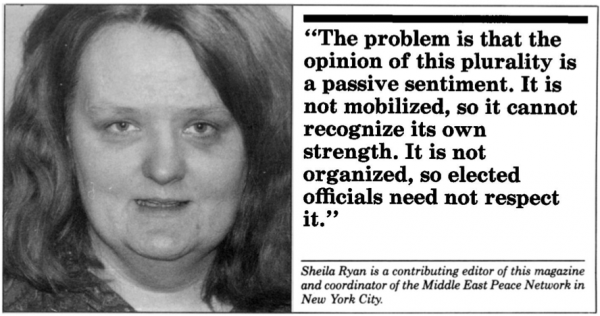 — From “No Place To Call Home“, by Sheila Ryan, New Internationalist, July 1986. This entry was posted in Middle East, Publications on July 1, 1986 by Matthew. In 1986, Claremont Research and Publications published “Pirates and Emperors: International Terrorism in the Real World”, a book by Noam Chomsky. — From AMEU Link, Vol. 20, No. 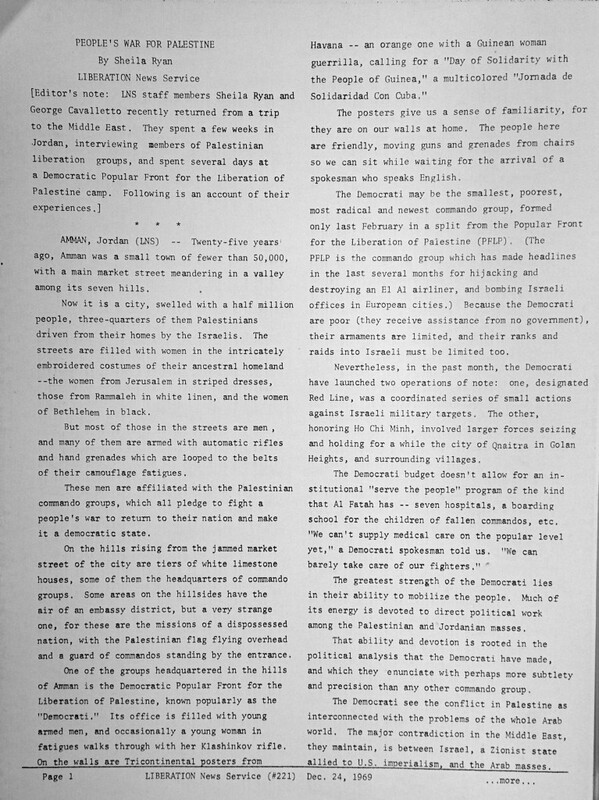 1, January-March 1987, p. 14, archived at ameu.org. This entry was posted in Publications on December 1, 1986 by Matthew. This entry was posted in Middle East, Publications on May 1, 1989 by Matthew. This entry was posted in Middle East, Publications on May 1, 1990 by Matthew. “Power Projection in the Middle East”, by Sheila Ryan, in Greg Bates, ed., Mobilizing Democracy: Changing the U. S. Role in the Middle East (Monroe, Maine: Common Courage Press, 1991). Sheila Ryan concludes that after 45 years of a Middle East policy based on anti-Soviet “containment,” the U.S. is now guided by its determination to control Europe’s and Japan’s source of oil. This entry was posted in Middle East, Publications on January 1, 1991 by Matthew. 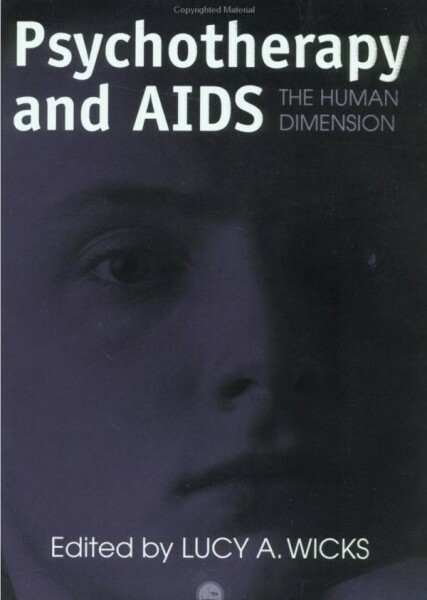 Psychotherapy And AIDS: The Human Dimension, ed. Lucy A. Wicks, Taylor & Francis, 1997. This entry was posted in Families With HIV, Publications on July 1, 1997 by Matthew.